The lightest truck frame system in the world – a 28’ van system weighs only 8 ounces! 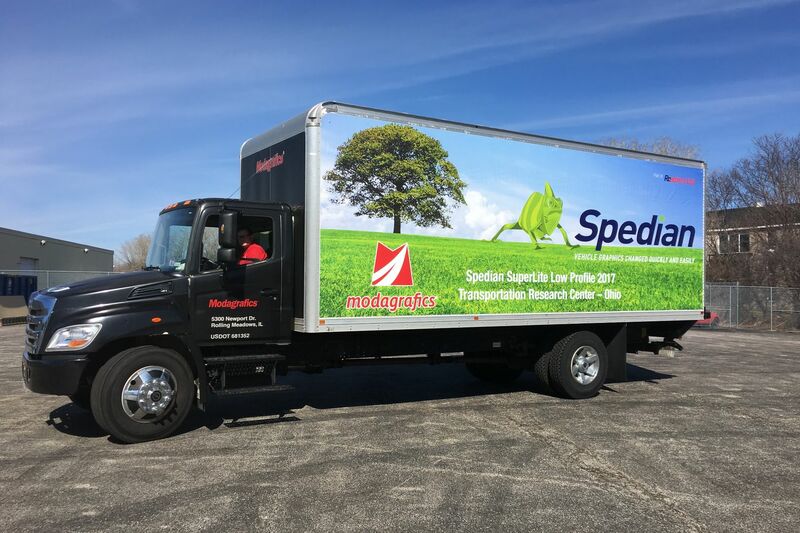 Spedian™ is the only patented and tested invisible truck graphics frame system in the world. Lowest cost frame system available with great color graphics guaranteed for twelve months. 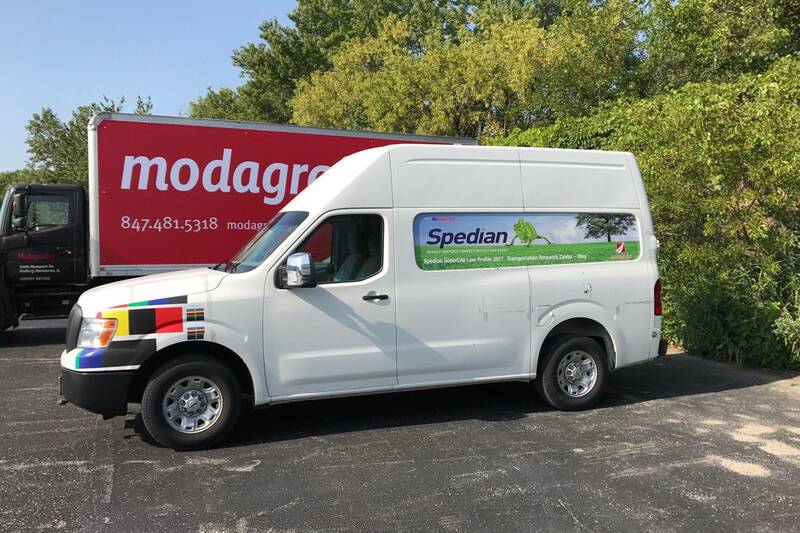 SPEDIAN - THE WORLDS ONLY REUSABLE TRUCK GRAPHIC SYSTEMS WITH NO VISIBLE FRAME - NOW IN THE USA! The Spedian Systems are the most advanced truck graphic systems in the world. 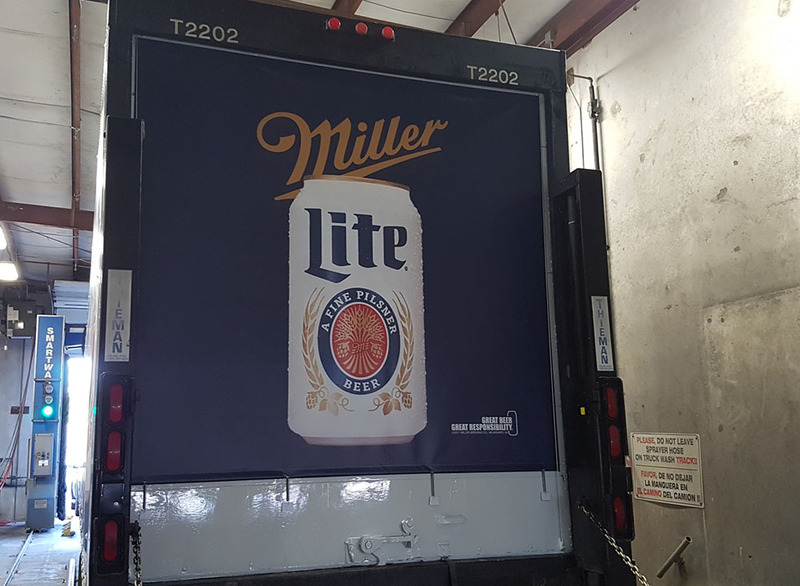 The graphics are easily installed on all types of trucks and installed quickly. They can be reused so they are great for tactical marketing. We have a system for sides, a system for rear doors, a system for ‘up and over’ rear doors and a system for the window recesses of vans. WE HAVE MADE YOUR TRUCKS AND VANS THE MOST POWERFUL MARKETING TOOLS YOU OWN AND ITS FREE TO USE! 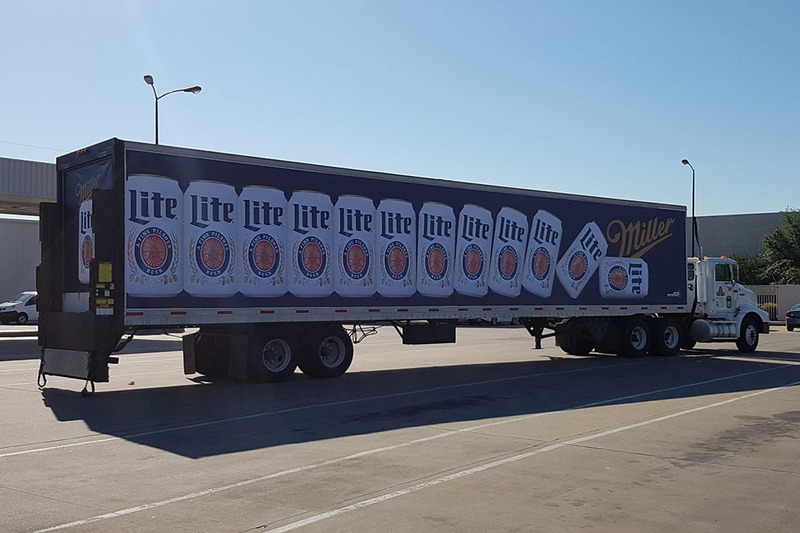 The Spedian Systems are the most dynamic changeable and reusable truck graphic systems in the world. The Spedian System - changeable and reusable truck graphics. SuperLite is the only graphic frame system for vans with no visible frame. Spedian solution for truck rears flats and SpediFlex for rollers. The Spedian System will fit any truck! If you've got more questions and we'll do our best to answer, just contact us. There are currently three products in the Spedian™ changeable graphic range. Spedian™, SuperLite™ and SpediFlex™ . Spedian™ is the original system developed for rigid sided trucks. SuperLite™ is the unique changeable system for the recess panels of vans. SpediFlex™ is the unique system for ‘up and over’ rear slatted doors of vans and articulated trailers. 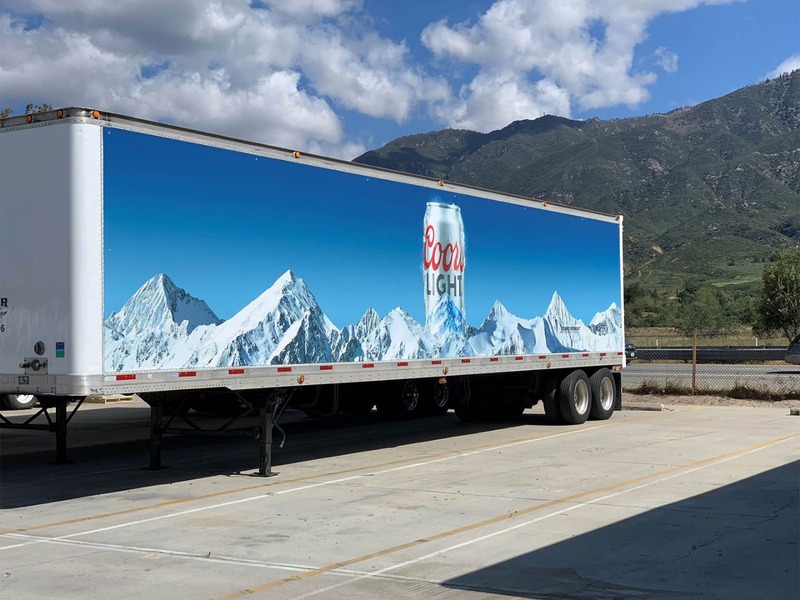 Spedian™ is the only changeable truck graphics system in the world with no visible frame. It is also the lightest. It is currently being used by major global companies as well as small and medium sized businesses and Local Authorities throughout the UK and North America. Is it better that the alloy and plastic frame systems? Yes. It is much lighter and graphics are larger because you do not have an unsightly frame. When the alloy frames are damaged, the replacement time, cost and inconvenience caused can interrupt the functionality of the truck. Does Spedian™ require a lot of maintenance? The Spedian System™ is totally maintenance free, unlike visible plastic and metal frames! No. the system works on a male, SpediGrip, to female, SpediLoop, basis with the male being on the vehicle perimeter and the female on the banner perimeter. The SpediGrip can be supplied to match your trucks corporate colours. Simply. We developed the Spedian Exhaust System™ which works on a high pressure/low pressure principal. Once the advertising banners are installed they are maintenance free having been tensioned at the time of installation. 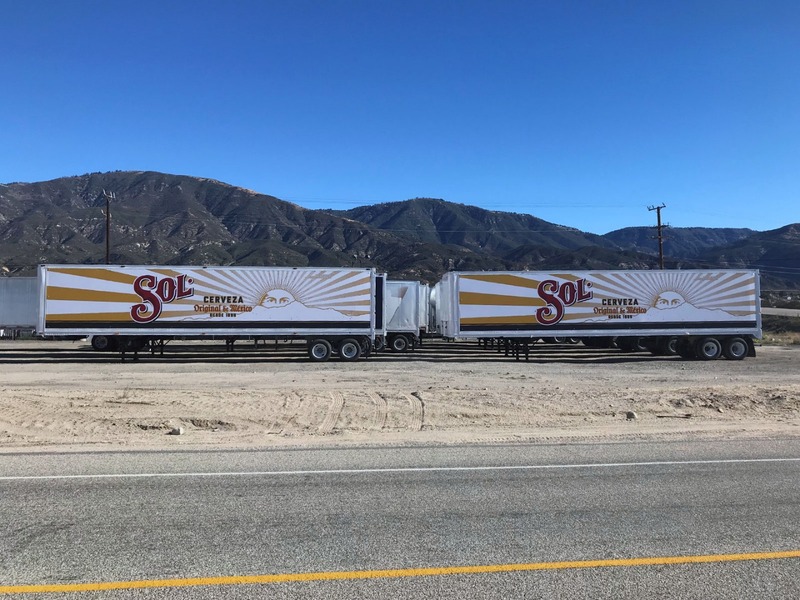 The installation time is short, maximum of two hours for a 53 foot semi-trailer truck and you can drive away immediately after installation. In the USA we have tested the Spedian™ System products at the Transportation Research Center (TRC) at Columbus Ohio in the USA. Does the system need re-tensioning? No. Unlike frame systems that are affected by wind drag and eventually wrinkle, Spedian™ needs no further tensioning after installation. The Spedian™ Systems are designed to fit most trucks. Spedian™ is used on rigid sided trucks of all sizes by major brands and over 100 local authorities and waste management companies in the UK the graphic advertising banners are changeable and are frequently reused. Spedian is easliy installed on solid rear doors. Does Spedian™ bend and twist? Absolutely not. Unlike ridged frame systems, the Spedian system will conform to the natural twisting and movement of the truck body. No more than 35 ounces. Does the Spedian System™ affect fuel consumption? SpediLite is the only changeable and reusable graphic system for the window recess panels of vans. The frame is very light weighing only 5 ounces for a transit van on two sides and a rear. 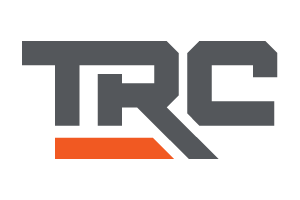 Although the frame has an extremely strong bond, safety tested at TRC Ohio ,we have developed a tool that can remove the frame with ho damage to original manufacturers paintwork. Up and over rear doors are a logistics team nightmare, the take a while to fit and remove. If you use SpediFlex the install time is down to tenminutes and removal under five! And you can reuse the advertising banners making the rears a very powerful marketing platform and a dream for the logistics team! The 54 trailers look amazing, and have exceeded expectations. 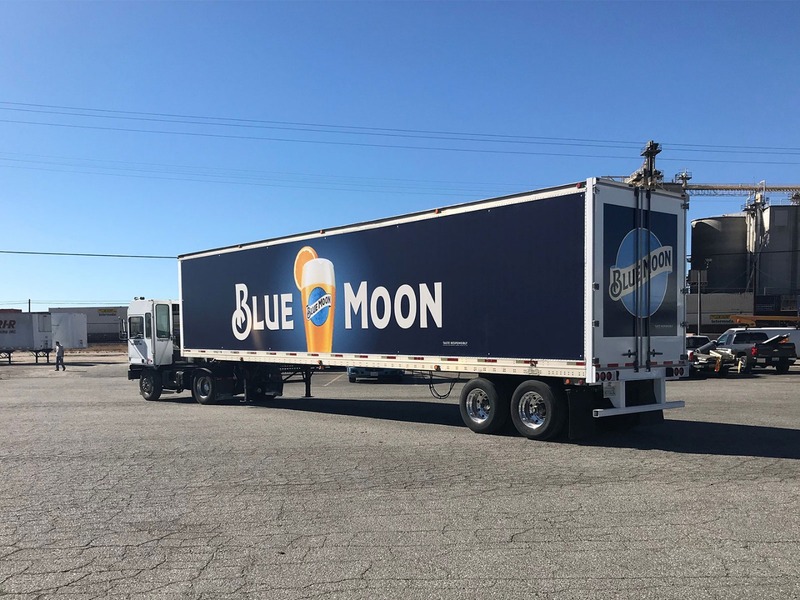 Everyone in marketing and the automotive team were so impressed with this innovative mode of advertising, that we are already looking forward to future initiatives. We have had no problem with the system and find the downtime on fitting considerably less than our previous frame trailers. I would have no problem in recommending Spedian as a company that you can trust to offer a competitive and trustworthy system.